Engineering News is a premier source of weekly real economy news on projects, products, policies, personalities and technoeconomic progress, covering a wide range of industries from agroprocessing to information technology. The news magazine, websites and newsletters provide a unique forum where readers can find news and comment critical to business success in an increasingly competitive knowledge-based global economy. 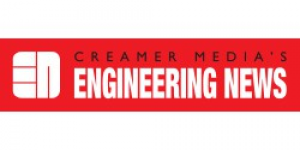 A mobile version of Engineering News is available at m.engineeringnews.co.za and an Engineering News application is available in the iTunes store for users of the iPhone.